Eliminating paper forms and working in a "paperless office" idea is nothing new. Yet still, the news of the "paper's demise" is a bit exaggerated. Most offices continue to use both types of forms. The result is, we swim in an ocean of business documents, not knowing exactly how to control and tame the beast. The good news is, infoRouter's Forms Management software is at hand to solve this problem. 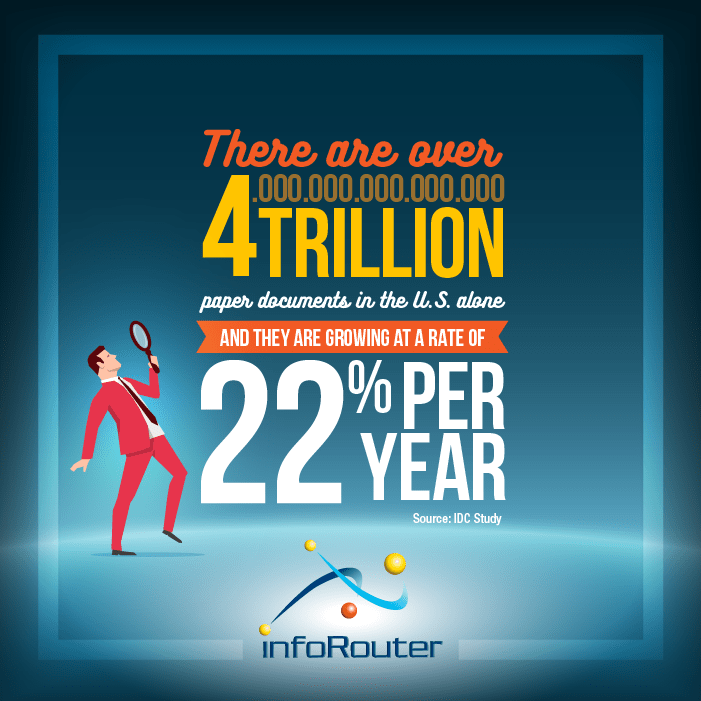 infoRouter can capture and manage both paper-based and paperless e-forms easily. We offer the ability to create ready-to-use e-forms that you can fill in to create instant letters, memos, resumes, expense reports, articles, etc. Once you capture the incoming data thanks to these templates, you can output it in multiple formats by linking with other templates. Since content templates take care of the formatting, you can dedicate all your resources to developing the best content possible. Being able to capture information effectively is no longer optional. In order to complete, businesses must automate as many processes as they can, especially as it relates to capturing the vital information they need to function. Replacing paper-based forms with their electronic counterparts is only the start. 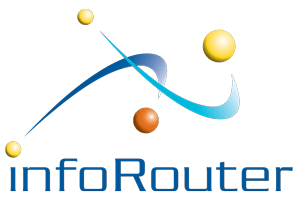 infoRouter's electronic forms, is an integral part of the core platform. It provides an environment in which content formatting is done once and the rest of the energy is spent on creating and managing actual content and capturing vital data. Generating content that comply with corporate standards is a difficult and costly affair. Reflecting a consistent corporate image is critical to the success of any business. Standard colors, logos, disclaimers are not only esthetically important but also crucial to convey a sense of trust and confidence to your clients. The omission, for example, of a critical "Disclaimers" or "Proper Use" section from a document may cause embarrassing situations, not to mention legal issues that may be very costly. Generating well written content is hard enough. Creating content that would comply with guidelines and corporate standards is even harder. To solve that problem, infoRouter offers the ability to create your own templates. Just fill in the blanks and you're done! Simple as that. Your document text is automatically converted to the standard HTML format, which can be viewed by authorized users without any special applications. All they need is a regular Internet browser to view the document. Did you know that authors spend twice as much time formatting a document than it takes to generate its content? With eforms you don't need to waste any time formatting your documents anymore. The infoRouter templates also ensure that the generated documents always comply with your corporate standards. When they use form templates, authors do not have to worry about the final formatting or the accidental omission of any boilerplate text. the whole document is formatted according to the specs and guidelines. infoRouter is also capable of rendering document data in multiple formats. The users can enter data using a friendly HTML form template. infoRouter stores the form values in an XML file. Each field of the form template refers to a specific section in the XML data file. Using a different form template, you can refer to the different sections of the XML file. This way, you can choose to display the selected sections of the XML file in different formats. This is referred to as "Rendering Options."